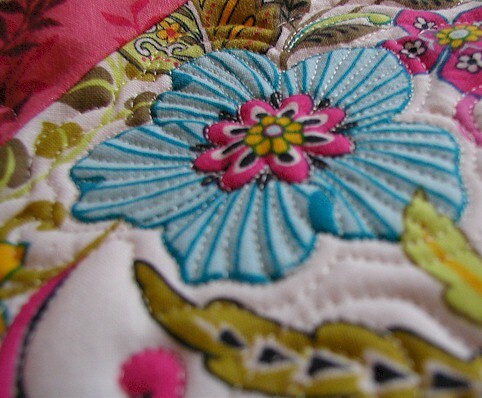 Quilters have expressed to me they just don’t know “what” to quilt on their quilt tops when they try to free-motion quilt. 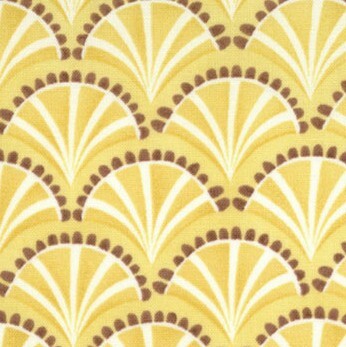 I always tell them to start looking at their fabrics! 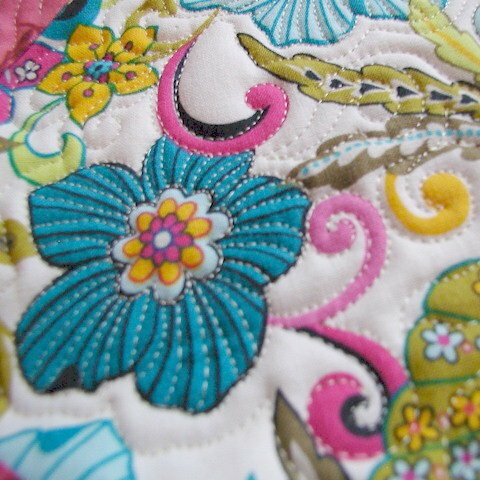 Here are some current fabrics that you might be interested to use in your quilts if you want to spend some one-to-one quality time with free-motion quilting. No marking or designing required. 1. 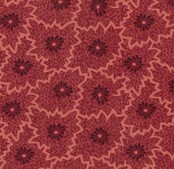 Moda’s Fandango – just follow the general scallop outline, and you will have a wonderful texture! Go ahead and quit along the outline for the wedges too, if you feel like being adventurous! 2. 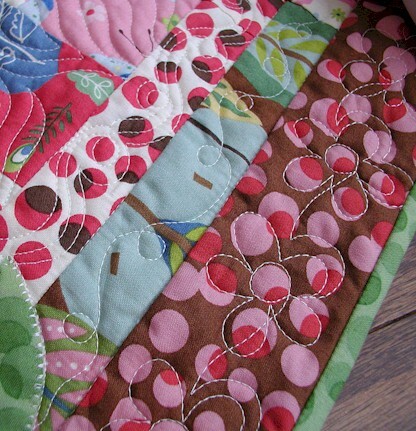 Moda’s Wee Woodland – a rough outline quilting would be cute around these daisies! 4. 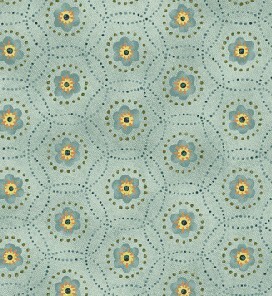 Benartex’s Garden Song: Quilting on those circles will make your quilt pop, I think! 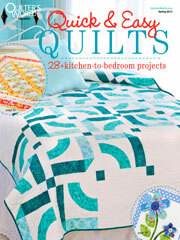 I love that concept of quilting in a way that goes along with the design. 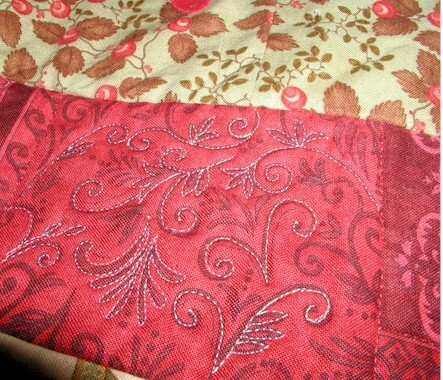 We were cleaning out our shed this weekend, and I found a pillow I had done in the quilting class I took. It was an off-white on off-white floral design. 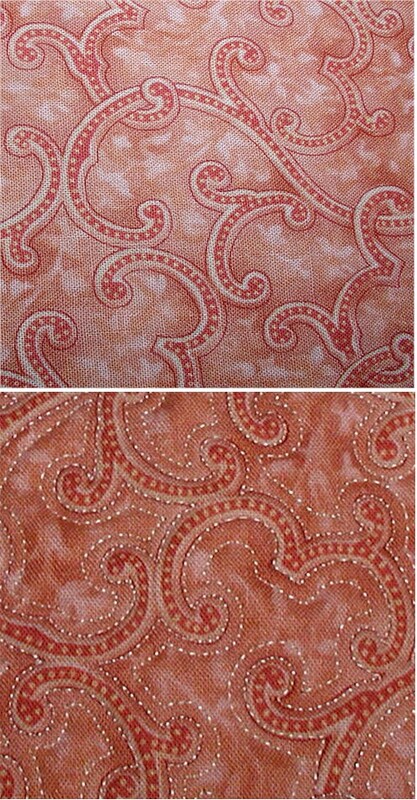 The fabric was pilling a little bit, but I am hoping I can remake the pillow. I was excited to see it! Another great tip, Wendy! Thank you! Thanks for the pointers! I’m thinking of outlining the flowers on my outer borders. 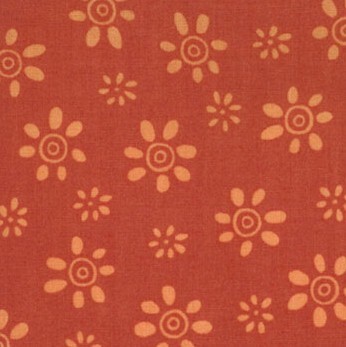 Its a Kaffe Fassett print, so there’s a lot to look at. 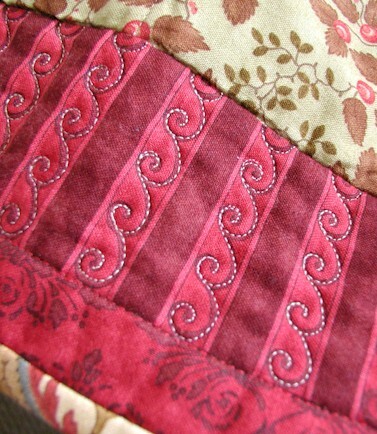 Introducing an additional pattern might actually detract from the beautiful fabric. 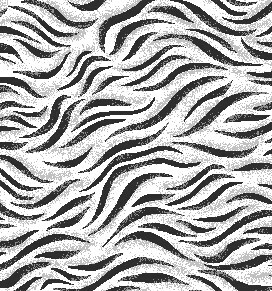 So doing an outline pattern would be perfect. Thanks again! Fabulous tip — you’re making me think that I should find a fabric like the one in the first picture and just sandwich it to practice on! thank you so much for the ideas. 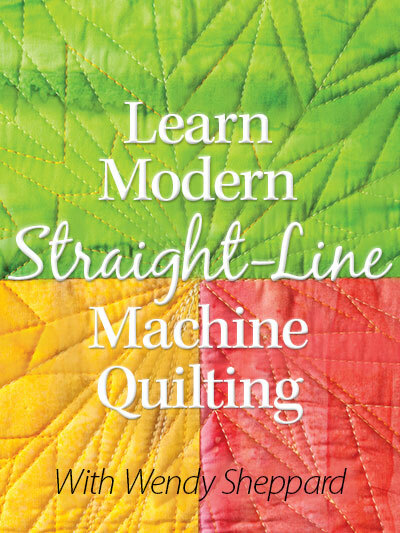 I need to practice free motion quilting. 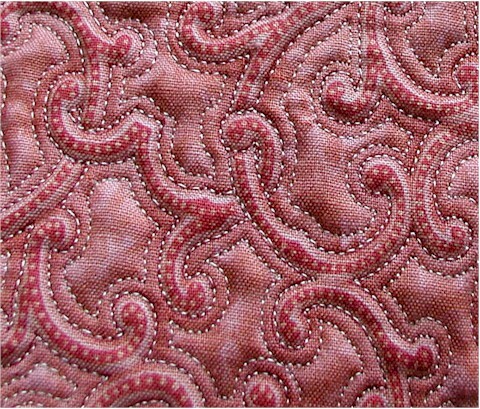 Very interesting to read…will try yo use the motifs in the fabric next time I have to quilt. This is so neat! Loved reading this, Wendy. Thanks for the tips! Can’t wait to try them out!! This is EXCELLENT! 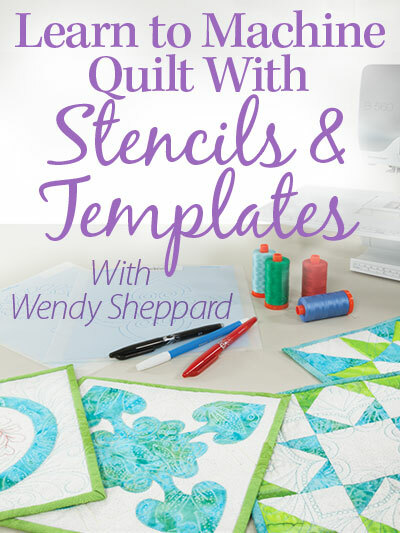 If you keep posting great content like this on this on your blog, soon I’m going to have a whole binder full of printouts to refer to, my very own Wendy Quilting Book! 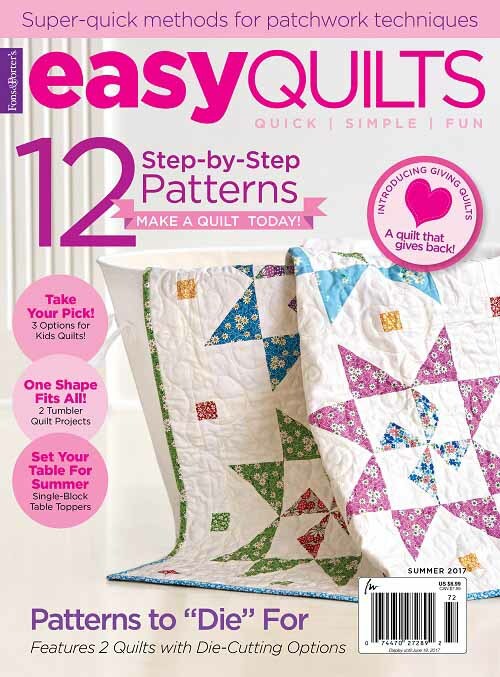 You hit the nail on the head, “How do I quilt this completed top?” is often the big question. I often use this same idea, taking a cue from the fabric. 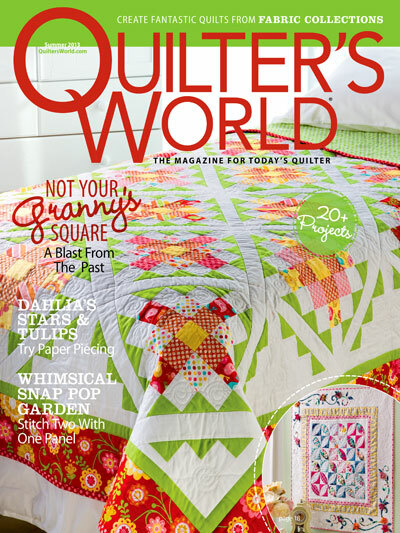 Another one if I’m truely stumped is to dig out all my older quilting mags and start looking at the pictures for inspiration. your qulting is amaizing… this is my big problem and i Love your idea to do it. i will kipp looking ideas and lern frm you. 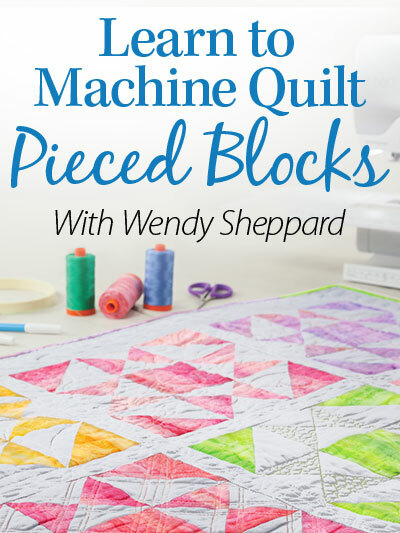 wow…i need this tip…i have a doubt…how can you manage the stitch length …mine is going smal at place and sometime it is big…is it because of your practice…or is there any tip..